Water ferns have tiny hairs that are super hydrophobic. Their properties, if applied in real life conditions to a sail boat, for example, could lead to a reduction of up to 10 percent of the boat’s fuel consumption by reducing friction. Until now, the researchers didn’t quite understand how aquatic ferns work, but some scientists from the University of Bonn, Rostock and Karlsruhe showed the exact process in the journal Advanced Materials. The scientists used the water fern salvinia molesta, which is extremely hydrophobic. Using such properties in swimsuits, for example, could make them quick-drying and ships would be very efficient. The salvinia molesta surrounds itself by a skirt of air, preventing the plant from coming into contact with the liquid. And the effect lasts a few weeks. Hydrophobic materials had been discovered, but their properties don’t last that long – not to mention as long as to be put on ships who cruise for weeks/months. The best such material only has a few hours of stability, after which it vanishes. The challenge is to make hydrophobic materials that last at least as water ferns do. The professor also estimates that, by being huge fuel-guzzlers, ships could make a difference in the worldwide fuel savings if they’re “tuned” to be more efficient – “probably one percent of the fuel consumption worldwide could be saved this way,” he says. Today, some antifouling coating method (but not bio) increases the ship's efficiency by reducing drag while also protecting the ocean from biocides that may leak. Instead of biocides, used by much of the industry to keep barnacles off of the hull, a special silicone-based paint is used. The silicone paint covering the part of the hull below the waterline is credited for lowering the water drag enough to save 1200 tons of fuel per year for the 'Emma Mærsk' ship. Australian Navy has approved the use of an Adelaide designed electronic shark deterrent following an attack on one of its divers last year. The Adelaide-based Shark Shield company said the Navy accreditation and clearance followed seven months of testing after able seaman Paul de Gelder was attacked by a shark during a training exercise in Sydney Harbour in February, 2009 and lost his right hand and right leg in the attack. The basic Shark Shield device weighs about 380 grams and is small enough to fit into a person's hand. Another version has been designed to be fitted to surfboards. The Australian Navy approval should spark an increase in international and local orders for the Shark Shield technology, the company said. Chairman Grant Price said the device emits electric impulses that cause great discomfort to sharks. Sharks have hundreds of electro-receptors in their snouts, which pick up the minute electrical impulses emitted by living creatures in the water. A Shark Shield emits impulses of greater intensity which cause sharks discomfort at a range of up to 8m. If the shark moves further into the field they experience muscle spasms that are enough to deter an attack. Mr Price said the Navy had chosen the Shark Shield as the most effective technology available. "The Navy tested our product under a variety of conditions for seven months and has found it meets all criteria to improve the safety of its divers," he said. "We are receiving enormous international interest in our device and expect general inquiries to translate to firm agreements as it becomes known that the Australian Navy relies on our technology. "We are also hoping to extend the relationship with the Navy to supply Shark Shield to other military personnel." Mr Price said Australia was known to have some of the most shark-populated waters on the planet, so what was seen to work in Australia had international credibility. The device could also be used for swimmers, kayakers and fishers. SeaOrbiter is a unique vessel in the world, developing a new concept for man’s underwater observation, continuously twenty-four hours a day. It will permit a better understanding of marine phenomena and a new inventory of ocean wealth for the preservation of its resources, as well as those of our planet. It is at once a revolutionary and indispensable human adventure for future generations. It is also a true platform of communication, within educational reach, the motor of a new adventure proposed to men around the Mediterranean, Europe and the world to fully understand the ocean and its ecosystems, to respect and to live in harmony with them. SeaOrbiter is today accompanied by a large committee of internationally renowned experts coming from multiple domains of state-of-the-art competence, as well as by numerous manufacturers linked to maritime technologies throughout the world. This project, of great symbolic weight, created by architect Jacques Rougerie, is above all a “gift to the generations to come”. By combining the latest technology and the taste for adventure, we propose to them a maritime adventure unique since Cousteau. To promote a new message of hope for humanity. CHS (Canadian Hydrographic Service) gives us its agreement to display their nautical raster charts (a set of 768 charts, 1618 charts including sub-charts) in the Marine GeoGarage. This web application has been produced by MAGIC INSTINCT Software based on Canadian Hydrographic Service ("CHS") data, following any minimum standards/guidelines that may been established by CHS, pursuant to CHS Digital VAR Agreement N° 2010-0331-1260-M. The incorporation of data sourced from CHS in this product shall not be construed as constituting an endorsement by CHS of this product. This product does not meet the requirements of the Charts and Nautical Publications Regulations under the Canada Shipping Act. Certified charts and publications, corrected and up-to-date, must be used to meet the requirements of those regulations. Ocean levels are rising around the globe, so rather than tethering our buildings to the sinking shoreline why not suit them for a life at sea? 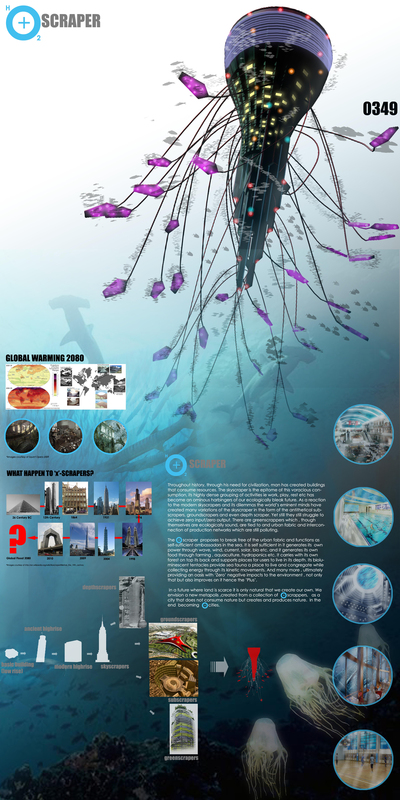 That’s the approach behind the Water-Scraper, a futuristic self-sufficient floating city. A special mention in this year’s eVolo Skyscraper Competition, the design expands the concept of a floating island into a full-fledged underwater skyscraper that harvests renewable energy and grows its own food. Touted as a self-sufficient floating city, Sarly Adre Bin Sarkum’s Water-Scraper utilizes a variety of green technologies. It generates its own electricity using wave, wind, and solar power and it produces its own food through farming, aquaculture, and hydroponic techniques. 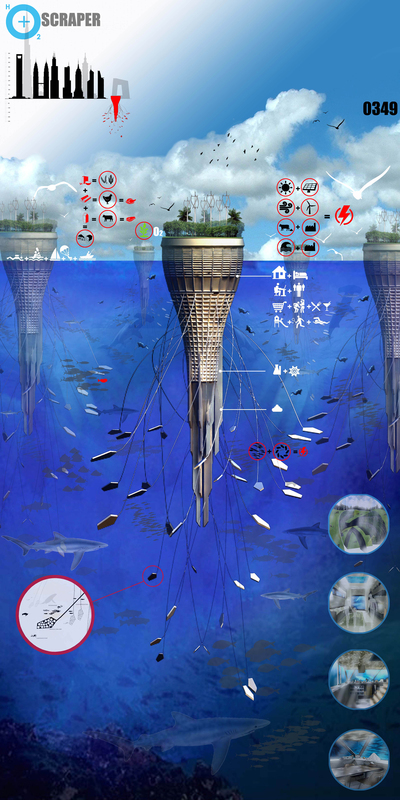 The surface of the submerged skyscraper sustains a small forest, while the lower levels contain spaces for its inhabitants to live and work. The building is kept upright using a system of ballasts aided by a set of squid-like tentacles that generate kinetic energy. As anyone who has seen Waterworld will attest, it’s a grim future indeed — which is why it’s essential that we do what we can to stem the course of the world’s rising tides. The digital era of seamless global navigation has become a reality now. The enormous task facing hydrographers surveying the world's continental shelves (many areas of which have never been surveyed) helped by the progress of electronics (multibeam, Lidar...) leads the way for navigational safety, changing the antique nature of many nautical charts available for better quality information. The growing interest in electronic charts (fuelled by the ECDIS mandate), means that all shipping vessels must consider how to implement a suitable policy that addresses both electronic and paper products for the bridge. The International Convention for Safety of Life at Sea (SOLAS) requires that, "All ships should carry adequate and up-to-date charts, sailing directions, lists of lights, notices to mariners, tide tables, and all other nautical publications necessary for the intended voyage". 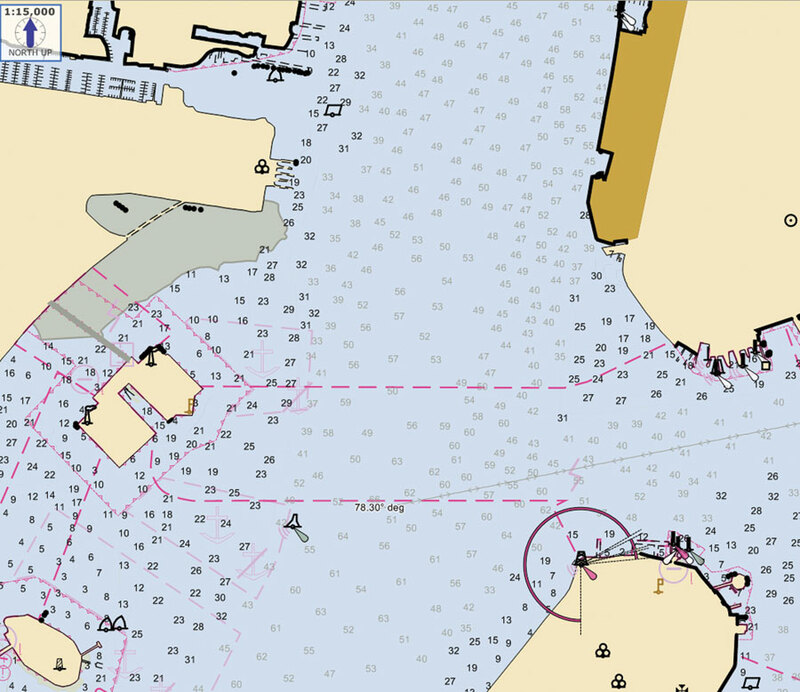 IMO's push for e-Navigation and the introduction of a mandatory carriage requirement for ECDIS from 2012 could help to reduce the possibility of vessels sailing with charts that do not represent the most accurate and up-to- date representation of their navigational environment. The concept of e-Navigation (proposed by IMO member States in 2006) is a process for the harmonisation, collection, integration, exchange and presentation of maritime information. There are many reasons for moving to Electronic Charts. Safety is certainly the first one but paper is also getting more expensive every year and chart-correcting skills harder to find. By the way, it's quite obvious that as take-up grows, costs will be lower so savings will be stronger. The United Kingdom Hydrographic Office has always been a pioneer and experimenter. UKHO stepped into the new era of digital maritime navigation with its first system incorporating a digitised catalogue, product viewer and passage planning tool ensuring a safer and more efficient navigational aid for the mariner. Fortifying the future transition to digital navigation, Admiralty e-Navigator organises, updates, and brings together all the paper and digital information required in the safe planning of voyages, proffering access to a wealth of information as well as the capacity to organise, maintain, and display all requisite data on the bridge instantaneously. Underlining how the Admiralty e-Navigator is designed to provide seafarers with not only comprehensive navigational data, but also intelligence which will significantly improve the ability to sail more safely and efficiently, Mr Robinson indicated the importance of electronic systems at the forefront of shipping’s future. With instant access to navigational data for route planning as well as automated updates, such a product is revolutionising the maritime world. Also incorporated into the e-Navigator as well as tide and weather data is Admiralty Information Overlay (AIO), the only global digital service that includes worldwide Temporary and Preliminary Notices to Mariners, ensuring even greater standards of safety for international shipping. The United Kingdom Hydrographic Office (UKHO) has also launched the Admiralty Vector Chart Service (AVCS). AVCS will provide the international mariner with an integrated global set of Electronic Navigational Charts (ENCs) schemed in folios along the major shipping routes and covering the world's top ports, with ordering, flexible licensing and updating services. The transmission of digital chart data, whether by satellite or using other broadcast systems, is quite obviously the fastest way of getting the latest corrections on to a vessel bridge. For example, the ChartCo Broadcast service, which uses the Inmarsat point to multi-point service, has recently introduced ChartCo Select which offers to deliver updates to UKHO's Admiralty Vector Chart Service (AVCS) cells across both its Broadcast and Select delivery services. The ENCTrack service from Datema includes a licensing setup which allows a vessel to access all ENC charts for planning purposes before actually paying for them. Charts are available at all times, removing the need for ordering, and the ship is free to deviate from its original plan without being restricted by the ENCs it had previously ordered. The basis of payment for the ENCTrack service is a tracking system which automatically compares the position of the ship to its chart holdings, transferring the position via satellite, and orders additional charts if the vessel sails out of its existing license area. For its part, the Alliance for Safe Navigation lead by Jeppesen (C-Map) consists of industry leaders that all share a commitment to boating safety. The goal of the alliance is to raise the boating community’s understanding of and appreciation for up-to-date navigational information. The alliance encourages mariners to recognize the large number of changes made to their charts and to keep their electronic and paper charts accurate, which is inexpensive and easy to do. By the way, e-Navigation.com is a service developed by Jeppesen to support the maritime community as it prepares for the ECDIS mandate, and the expanding field of e-Navigation. Are NOAA nautical charts water depths in fathoms, feet or meters? On paper maps, the general information block of the chart shows the chart title, usually the name of the navigable water in the covered area, the type of projection and the unit of measurement (1:40,000, Soundings in Feet). The numbers that appear all over the water portions of the chart are soundings. They show how deep the water is at that point. Large block letters at the top and bottom of the chart indicate the unit of measurement used for soundings. So NOAA SOUNDINGS can be in FATHOMS (1 Fathom = 6 feet), FEET, or METERS (1 Meter = 3.28 feet). Most are in feet but it depends on location and age : U.S. charts began switching from feet and fathoms to soundings in meters using the international standard for measuring depth. Soundings in meters can be quickly converted to feet, by dividing by 3: the math isn't accurate, since a meter is slightly more than 3 ft. long, but it gives a quick, conservative estimate of the depth in feet. SOUNDINGS IN FATHOMS indicates soundings are in fathoms or fathoms and fractions. SOUNDINGS IN FATHOMS AND FEET indicates the soundings are in fathoms and feet. For spot depths, the fathom will be the larger number while the fraction of fathoms or feet will be the smaller subscript number. For example, you might see a spot depth on the chart of 42. This indicates a depth of 4 fathoms and, if the soundings are in fathoms and feet, the small 2 indicates two feet, so in this case the depth is 4 fathoms plus 2 feet or 26 feet. A similar convention is followed when the SOUNDINGS are in METERS or meters and tenths. The larger number on the spot depths are in meters while the smaller number is tenths of a meter. What about the level of water (tidal datum) ?All depths indicated on charts are reckoned from a selected level of water called the chart sounding datum. For NOAA charts the datum is usually Mean Lower Low Water (MLLW). This is the average height of the lower low waters of each tidal day over a 19-year period. Older charts use Mean Low Water and foreign charts can use other tidal datums. The MLLW datum is lower than Mean Low Water (MLW). It is more conservative with the goal of being more safe. You must understand the soundings and tidal datum for the chart you are using and take into consideration the height of tide and the tidal range to avoid grounding. You also must be aware that there will be certain times of the year or weather conditions which can make the actual depth less than that depicted on the chart. Note : If the tide table show a minus sign (like, "-1") that means that you need to subtract that number from the chart's water depth. Similar depths are connected by dark blue Contour Lines (isolines or isobaths). If there's no depth shown at a particular location, you can glance along the contour lines nearest the location until you see a number for the depth. Typically, the area inside either the three fathom or one fathom contour line is tinted blue to provide quick identification of shoal water. In the Marine GeoGarage, as we display the different charts in a seamless process, the general information for the chart may be masked by another chart. So it could be impossible to get the info about the soundings unit. In some article of the last edition of Digital Ship, Andy Norris explores some common problems with ECDIS operation and chart management, specifically determining update status, loading charts and route planning. One of the greatest obstacle to the implementation of mandatory ECDIS will be the hurdle of educating seafarers appropriately in use of the technology. Many user shortcomings are today being blamed on the consoles and charts. Norris cites inability to determine when an ENC was last updated as a frequent complaint. Firstly, he describes this challenge as far smaller than doing the same with paper charts. Many ECDIS are updated simply by inserting a disk and following on-screen commands. Despite the automation, Norris still advises users to: "keep a manual log of when a disk is loaded, together with a note on whether any problems occurred during the update process." Finding and loading the appropriate charts from a chart catalogue is described as a necessary learned skill. Once the correct chart is found in the library (including the largest available scale of any chart on, or immediately adjacent to, the planned route), it can be acquired very quickly, and much more easily than a paper chart. It is often either a question of obtaining a code via email, or - in some cases - opening it (the purchase order and billing are arranged after the fact). Finally, issues related to route planning are addressed. Among the biggest problems here is dealing with the small screen of an ECDIS compared to a paper chart. Here, Norris advises planning a route starting with a zoomed out image that spans full ocean crossings via great circles as waypoints, then refining the route later in larger scale charts. He concludes by urging mariners to undertake both a manual check and an ECDIS automated check for hazards along the route. Significant differences in the skills need to use ECDIS compared with using paper charts required a “major adjustment” in the approach needed to ensure safe navigation, he said. Once mastered, ECDIS provides the means to improve navigational safety but this is not achieved just by the completion of a short course. “The skills have to be developed and honed in the context of the knowledge gained at the course and other sources of guidance. The use of ECDIS, in general, is not paper chart techniques transferred to a screen,” he said. The use of ECDIS is a total change from using paper charts and the transition from paper charts to electronic poses a challenge for the industry, particularly for those who have no current experience of electronic charts. Important bridge procedures are significantly affected, and these require careful analysis and consideration if ECDIS assisted groundings are to be avoided. 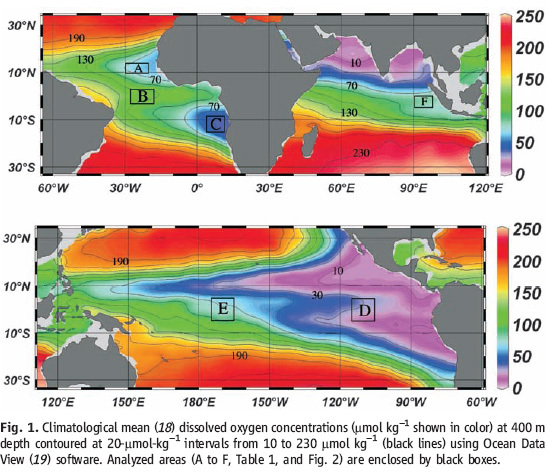 Oxygen minimum zones (OMZs) are expanding in the World Ocean as a result of climate change and direct anthropogenic influence. 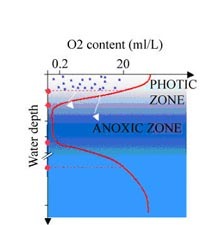 OMZ expansion greatly affects biogeochemical processes and marine life, especially by constraining the vertical habitat of most marine organisms. Currently, monitoring the variability of the upper limit of the OMZs relies on time intensive sampling protocols, causing poor spatial resolution. 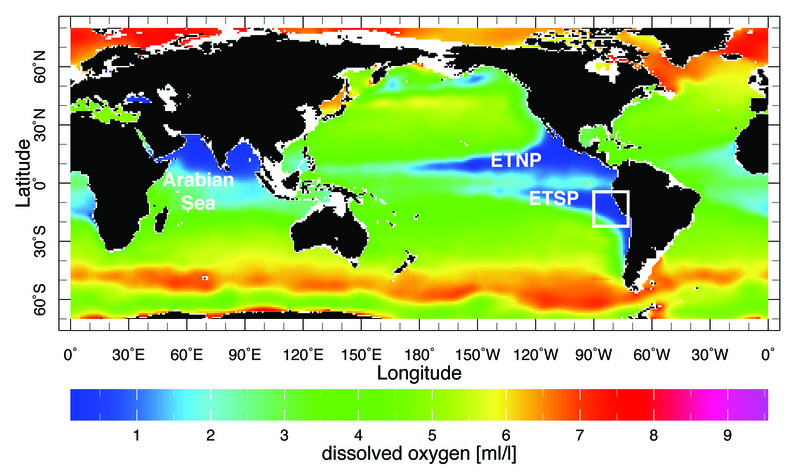 The French Institut de recherche pour le développement (IRD) and the Instituto del Mar del Perú (IMARPE) have developed an innovative acoustic method to observe the evolution of oxygen minimum zones (OMZs) in the world's oceans. This new technique makes it possible to measure these oxygen-free (anoxic) zones, which are home to many marine organisms, in greater detail. The researchers measured the vertical distribution of marine organisms, such as plankton, crustaceans and fish, in the water using routine underwater acoustic observation techniques along the Peruvian coast. The measurements, made with the help of echo sounders, allowed them to determine the oxycline, which delimits the top of the OMZ, with high precision. Combining the data obtained in this way with regular hydrological measurements, they managed to compile high-resolution maps that are 50,000 to 100,000 times more precise than common hydrological profiles. 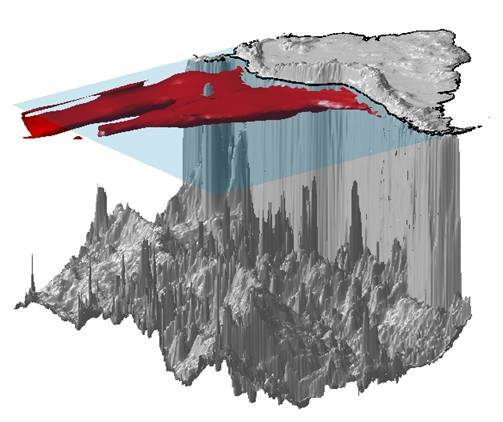 As well as shedding new light on the state and spread of OMZs, the scientists were also able to calculate precisely the size of the habitat available to the Peruvian anchovy, for instance, providing information that might be of interest for fisheries management. 'This method ... allows performing integrated studies since acoustic data provides information on most ecosystem components [...], to which we can add ancillary information (satellite data, vessel monitoring system, top predator tagging...),"
Such integrated approaches are crucial to implement the ecosystem approach to fisheries. "Our methodology can also be applied to other ecosystems, e.g. oceanic dead zones, and opens new perspectives for comprehensive multiscale studies on the impact of physical forcing on organisms." OMZs are a naturally occurring phenomenon, found at depths of about 100 to 1,000 metres. They are home to numerous organisms that are specially adapted to the low-oxygen environment, including not only anaerobic bacteria but also larger organisms such as vampire squid. Oxygen-loving organisms, however, cannot survive in these zones. 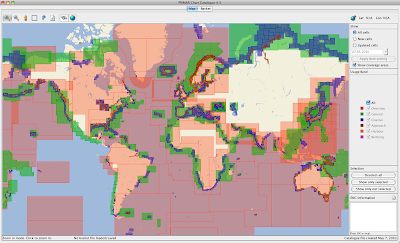 OMZs currently cover about 10% of the planet's surface. But they have been spreading for the past 50 years due to global warming and humankind's impact on the seas through rising levels of chemical nutrients (eutrophication), for example. This opportunistic method could be implemented on any vessel geared with multi-frequency echosounders to perform comprehensive high-resolution monitoring of the upper limit of the OMZ. IRD's approach is a novel way of studying the impact of physical processes on marine life and extracting valid information about the pelagic habitat and its spatial structure, a crucial aspect of Ecosystem-based Fisheries Management in the current context of climate change. The findings open up new perspectives for the study of the oceans as well as the management of fisheries resources.